The Kolkata Solid Waste Management Improvement Project (KSWMIP), supported by Japan International Cooperation Agency (JICA) aimed to promote overall solid waste management system including sanitary landfill for six (6) municipalities in Kolkata Metropolitan Area (KMA) (Champdani, Baidyabati, Serampore, Rishra, Konnagar and Uttarpara - Kotrung). The project involved setting up of engineered facilities for waste storage, composting and disposal (common sanitary landfill) and improved primary and secondary collection systems with active participation of the municipalities and the community, thereby improving living environment and hygienic conditions of the people in the region and safeguarding natural environment. The project also aimed at examination of the financial situation of each municipality so as to recommend a 'self-sufficiency plan' for each municipality to operate and maintain the Project Facilities in an effective and sustainable manner. On the basis of the detailed cost estimates, recommendation of short term and long term operational and management plan, organisational Structure, additional financial burden on municipalities and their source of funding. Detailed analysis of municipal financial strength of each Municipality and specific recommendation to improve their finances. 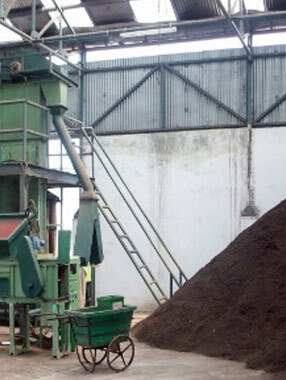 Recommendations for short term and long term Operational and Management plan for Compost Plant and Regional Waste Management Centre (RWMC). Defined the role for each of the stakeholders including the timeline for each action to be performed. Estimated the 'Tipping Fee' required for the operation of RWMC and Compost Plant with various options that the Municipality can adopt. Suggested an organisational structure in line with stakeholders' consultation.